Workers’ rights are at risk once the UK leaves the EU even if a Brexit deal is struck, research by a leading thinktank has concluded. The Institute for Public Policy Research (IPPR) warned that other trade deals struck by the EU led to a weakening of workers’ rights, with the EU reluctant to get involved because it would disrupt the wider trade deal. As part of the post-Brexit relationship between the UK and the EU, both parties are expected to agree minimum standards for employment protections. This will comprise part of a ‘level playing field’ for future trade. 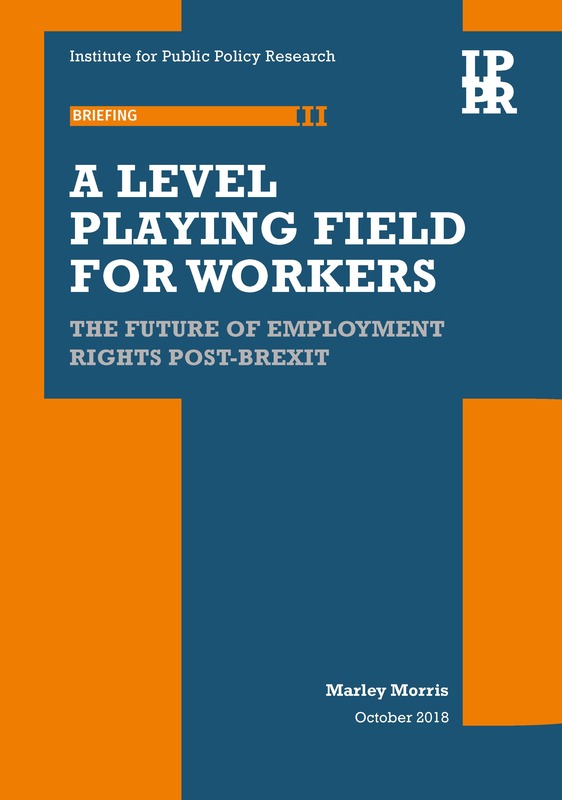 The IPPR suggests the best method of harmonising workers’ rights across the UK and the EU would be a “common rulebook” approach, which would involve listing all relevant EU employment directives in the UK-EU agreement. The rulebook would be updated over time to bring any new EU employment legislation into UK law. The report recommends that the law would be enforced by a “supranational supervision authority”, made up of representatives from a number of nations.